BCH independent books - Martin Luther King, Jr.
EZ Comics presents Martin Luther King, Jr. – a graphical novel showing the life of one of the Revered leaders of America in pictures. Born on January 15th, 1929, King consistently fought against injustice and restrained all forms of violence. Up until his assassination at only 39 years of age, King was able to make significant progress in transforming the lives of African-Americans throughout the United States. 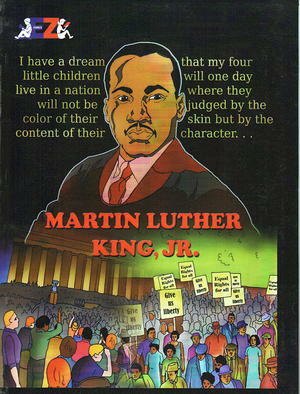 Get to Know Martin Luther King, Jr. in this original publishing of EZ Comics which strives to make Education Easy.